PADERBORN, GERMANY - Japan gave up a one-goal lead twice and played out a 2-2 draw against world No. 2 Germany Tuesday in a warmup for June’s FIFA Women’s World Cup. 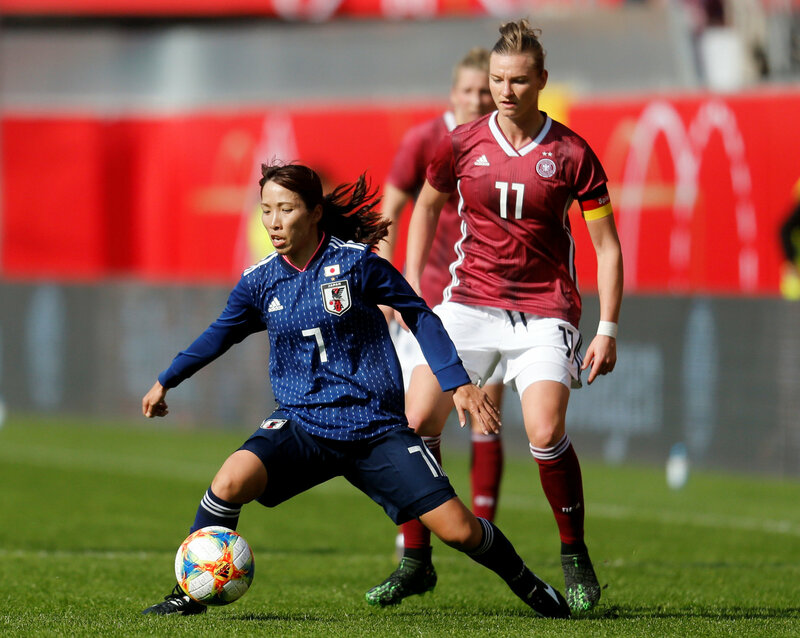 Goals from Yui Hasegawa and Kumi Yokoyama gave Japan leads in both halves at Benteler Arena in Paderborn, Germany, but Alexandra Popp and Svenja Huth denied Asako Takakura’s side a win ahead of the World Cup squad announcement expected to be made next month. 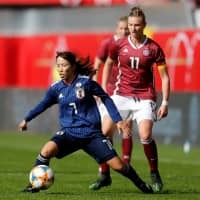 Seventh-ranked Nadeshiko Japan, which will face Argentina in its opening match of the World Cup on June 10, went ahead first when Hasegawa lobbed the ball over the goalkeeper in the 35th minute, but German captain Popp evened the score with a header in the 53rd minute. Yokoyama then put Japan back in front in the 69th minute, only to have the effort erased by a Huth close-range header three minutes later. “They tried to maintain the pace of their game,” Takakura said of Japan. “Quick decision making, accuracy, predicting plays, these are skills we need to sharpen. If the players step up their game during the World Cup, it’s not like we have zero chance (of winning the title),” she said.